The Pot of Gold Music Festival is returning for another year in Phoenix in 2019! The festival will allow 3 days of music, food, beer and more. There will not only be vendors of delicious food, but also vendors selling merchandise, a FREE water refill stations. The Pot of Gold Music Festival will also have a “Space Lab Area” and an “Arcade Alley” that will allow attendees to interact with games with various areas. There will also be an “Art Land” that will allow local artists and artists all around the world that will showcase their art. Pot of Gold will take place at Steele Indian School Park on March 15th – 17th in 2019. 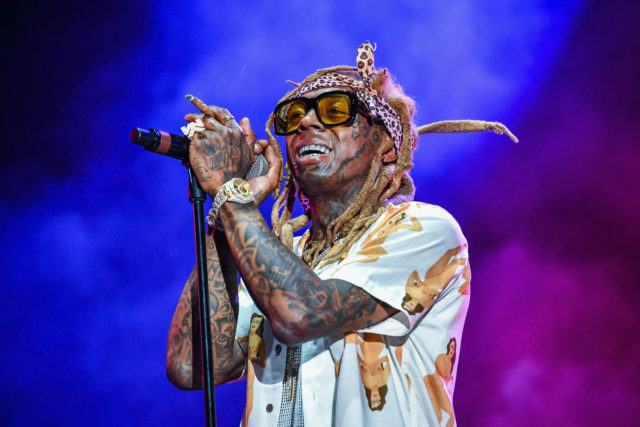 The headliners will include such big artists as; Lil’ Wayne, Post Malone, Cardi B, Young Thug, Jhene Aiko, Lil’ Pump and more. 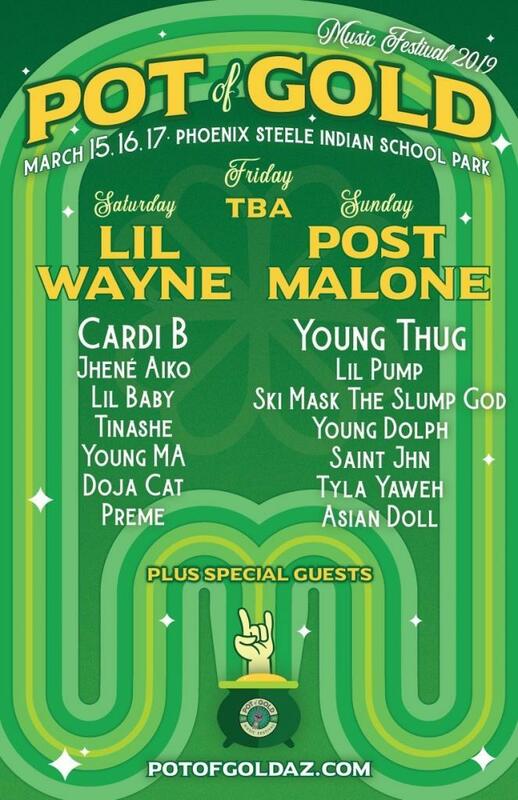 Other acts that will perform at the festival include; Ski Mask The Slump God, Lil’ Baby, Tinashe, Young MA, Doja Cat, Preme, Young Dolph, Saint Jhn, Tyla Yaweh, Asian Doll and plus special guests that are yet to be announced. This St. Patrick’s Day celebration started in Chandler, Arizona and has since given fans a great experience to celebrate before summer hits right after March. The music festival not only brings music goers together, but also those on spring break and people just looking to have a good time in the spring. Pot of Gold attracts more than an estimated amount of 30,000 attendees and is sure to give you a memorable St. Patrick’s Day for 2019!